Islander recently joined a culinary club at the local library where she could meet like-minded people who LOVE to cook and exchange recipes that they have tried from cookbooks, the Internet or family and friends. In honor of the month of LOVE, members were asked to share foods that fit this month’s heart-shaped” theme. 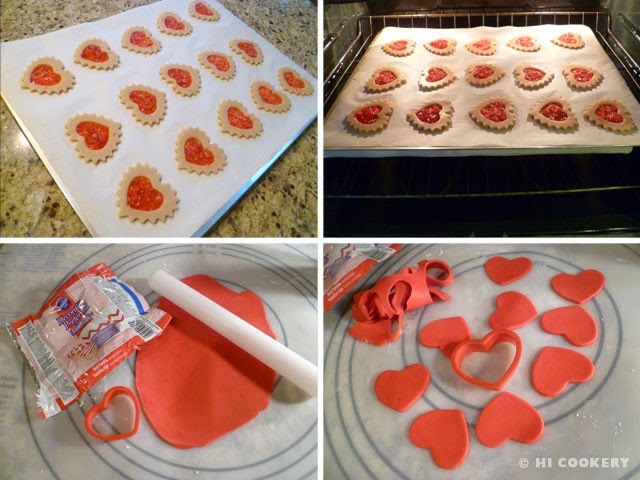 This gave Islander the opportunity to use her heart-shaped nested cookie cutters to make “stained glass” heart cookies. The middle is melted hard candy, which when cool becomes transparent and cracks like glass when bitten into the cookie. 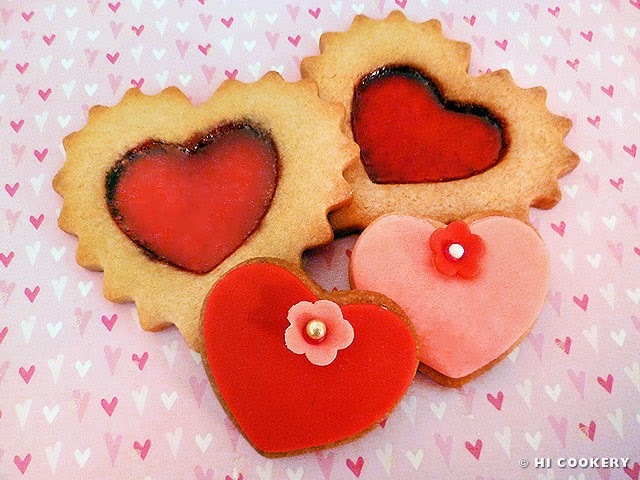 With the extra heart cutouts, she simply decorated them with fondant flowers so there is no waste in the cookie dough. This is a pretty project for the Feast Day of St. Valentine. So show some LOVE to culinary club members, co-workers, family, friends and your sweetheart by baking stained glass heart cookies. Happy Valentine’s Day! In a large bowl, stir together flour, baking powder and salt. 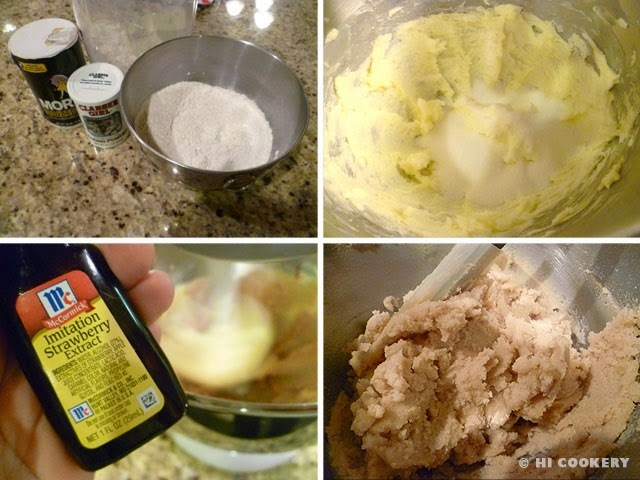 In another bowl, mix together the butter and sugar until creamy. Beat in the egg, milk, vanilla and strawberry or cherry extracts. Gradually the flour mixture into the other ingredients and blend well to form a dough. Divide dough in thirds and roll into a ball. Then flatten each ball into a disc and place between sheets of waxed or parchment paper. Roll out to about ¼-inch thick (we used ¼-inch thick acrylic sticks as guides). Stack them on a baking sheet and refrigerate until firm (about 30-45 minutes). They may also be frozen for 15-20 minutes. Take one stack of flattened dough out of the refrigerator or freezer. 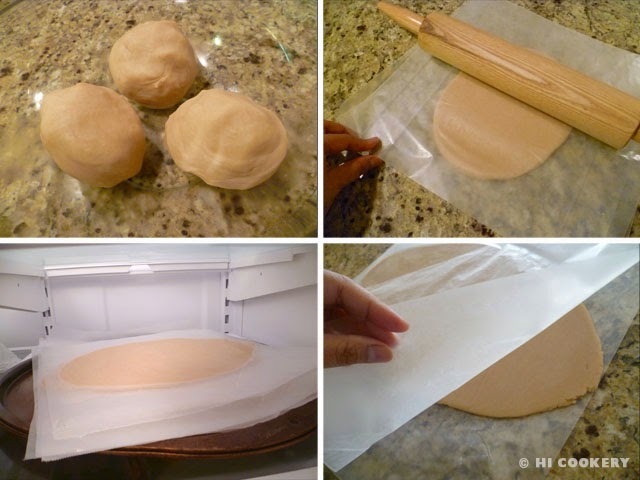 Peel away both front and back to loosen, leaving the dough on one sheet of the waxed or parchment paper. Cut out the larger heart shapes. Place on foil-lined greased cookie pan about 1 ½ – 2 inches apart. Cut out the smaller heart shape in the middle and remove the dough. Refrigerate the cookie pan. Re-roll scraps of dough and cut more shapes, refrigerating if the dough gets too soft. The dough needs to be cold and firm in order to retain its shape. Crush the red hard candies by placing them a zipper top plastic bag and pressing a rolling pin over them (or hammer the heck out of them). Sprinkle onto the cutout center of the cookies, being careful not to overfill or they will overflow (see our Food Flops). Bake the cookies in a preheated oven at 375 degrees F for 10-15 minutes or until the sides are very lightly browned and the hard candy centers are melted. Remove from the oven when done and let sit on the pan until the candy centers harden (at least 15 minutes). Transfer each cookie on a wire rack to cool completely. 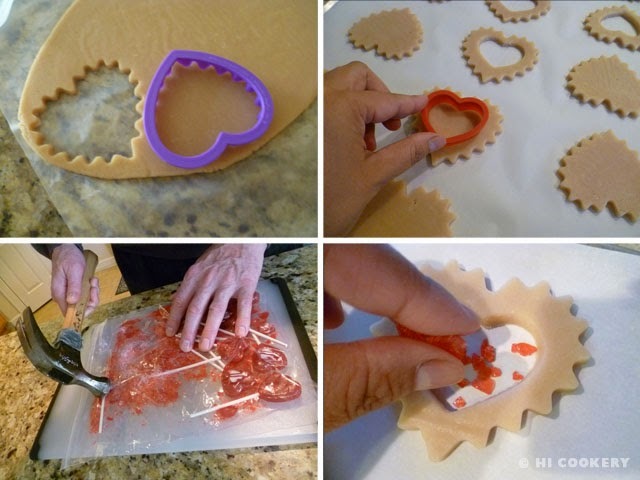 Bake the center heart cutout cookies. 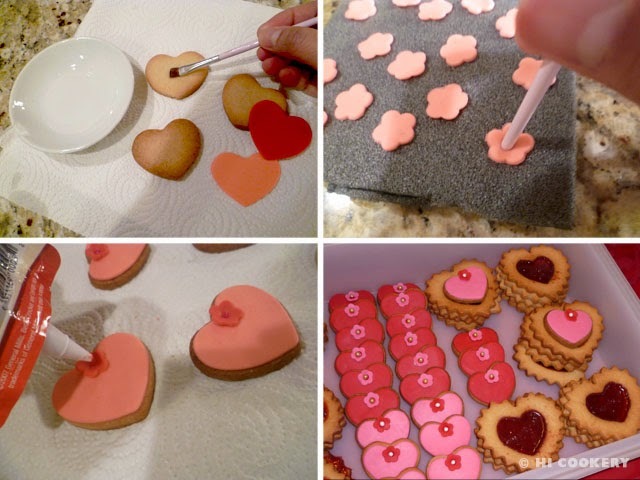 Cool then decorate with fondant hearts using the same size cookie cutter. Brush water or piping gel on the cookie. Position the fondant on top of the small heart cookie and smooth out the edges with warm fingers. Repeat for all cookies. Set aside to dry. Make fondant flowers. Attach to the top middle of the heart cookies with tube frosting. Position a gold or white non-pareil bead in the center of the fondant flower by “gluing” it with tube frosting. Let all cookies dry. Store in an airtight container. Arrange on a platter and serve. Cut different cookie shapes and use different colored hard candies for unique occasions. See previous posts on how to cover cookies with fondant and how to make fondant flowers here or here.